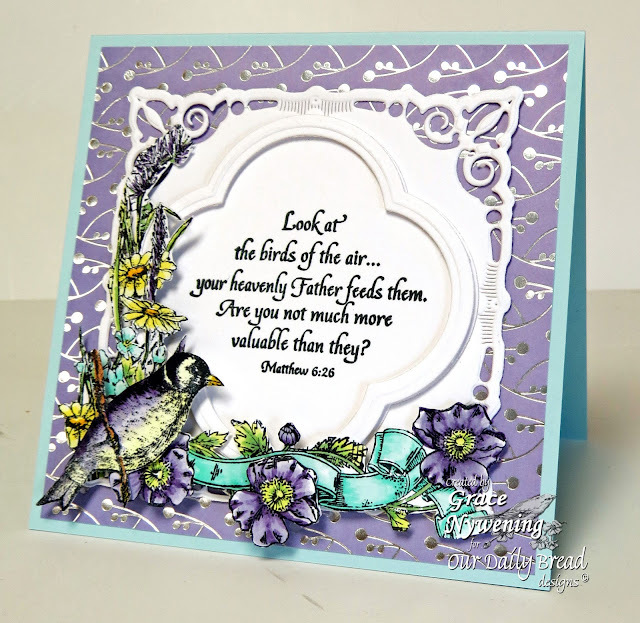 Th-INK-ing of You: Look at the birds! Hello my friends! Today I'm excited to be sharing a card I made using several different ODBD sets. I don't often say this, but I love how it came out! I used the Finch Collage, Hymn Collage, Sing for Joy, and the Quatrefoil Design Die cut. I also used a Spellbinders Adorning Squares die. 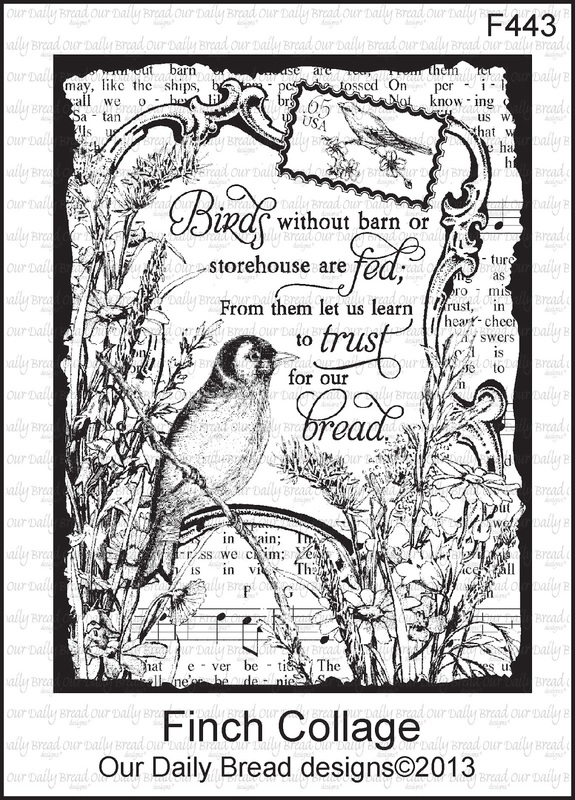 I stamped my images with Memento, fussy cut the elements from both the Finch Collage and the Hymn Collage, and colored with Copics. I stamped the verse from the Sing for Joy set on a cut out of the largest background die of the Quatrefoil Design die set, and framed that with a Quatrefoil Design frame, which I cut with the larger background piece and the patterned piece inside of it, but I only used the outter frame that was created by the double cut. I mounted that with dimensionals. The designer paper is sparkly and is by KaiserCraft. My card has more dimension than actually shows up in the photo. I began the flowers I perceived as the furthest back with very tiny dimensionals, then I used increasingly thicker ones as I brought my layers forward. The center flower is stamped twice and popped up and curled slightly on my piercer for more dimension. Thanks so very much for stopping by and for those of you who say hello.... thank you! It means so much! This is truly stunning, Grace! I can see why you were pleased with your creation! Gorgeous colors, papers and layering! Wonderful images, too! Hugs! This is gorgeous Grace. Beautiful colors and love how you cut this image out. Oh Grace this is a joy to behold - it is beautiful. Beautiful, Gracea! I like the play of the blue and purple together. And your coloring is magnificent! This is beautiful, gorgeous and amazing! Once again I love your card!